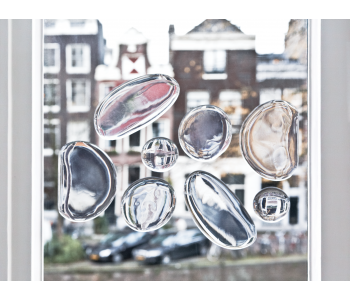 The adhesive, transparent Window Drops by Droog distort the view and light. The result: astonishing reflections and a different view of the world outside. The Window Drops are suitable for windows, glass walls, and mirrors and can easily be removed and stuck to a different surface. Enhance your view with Window Drops! No one likes a rainy day, unless it’s by your choice. But once the sun comes through, raindrops suddenly create a surprising interplay of light and a completely different atmosphere. 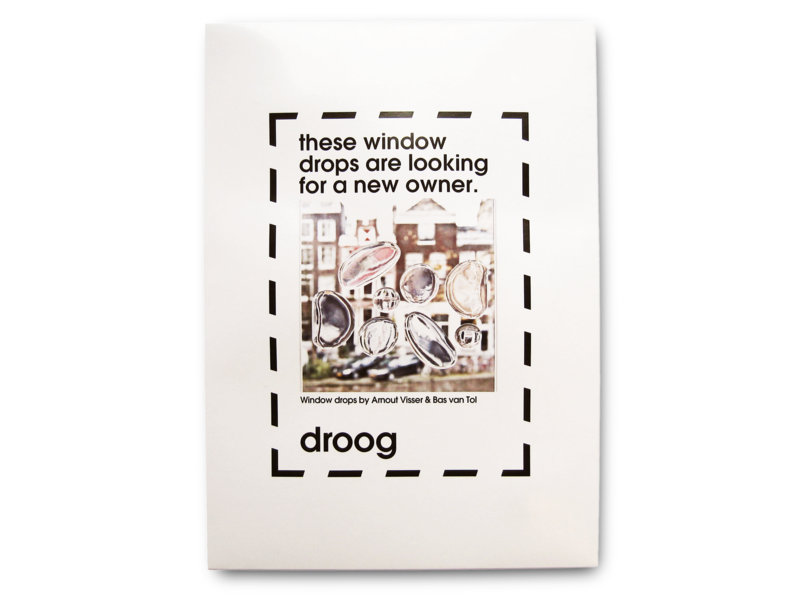 The Window Drops window stickers by Droog are based on this. With the Window Drops, it’s always raining sunshine! Interior and window stickers are fashionable. Use them to perk up your room. Endless variations, without having to spend a lot of money. You see them more and more in homes and even in retail locations. Window Drops windows stickers are a response to this trend. 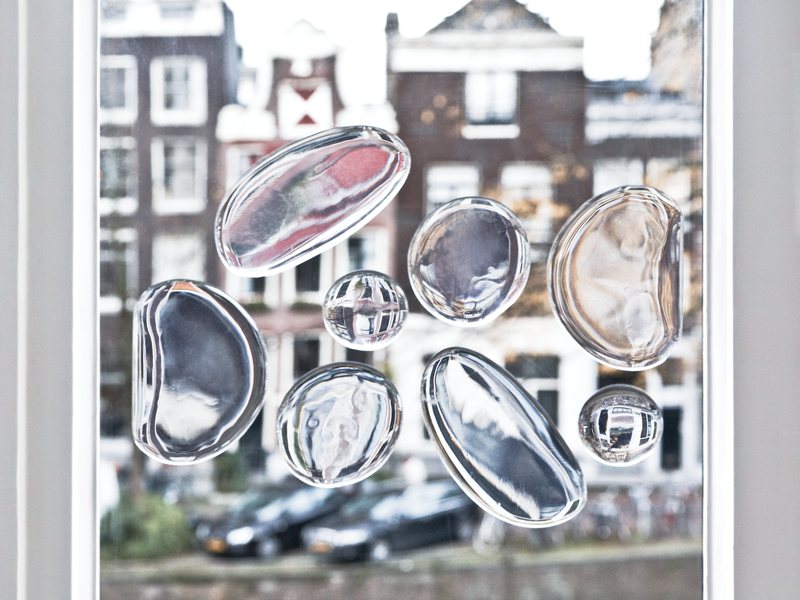 Window Drops were created by Arnout Visser and Bas van der Tol during a Droog project for Levi’s RED. The quest for inspiration resulted in a concept with adhesive droplets. 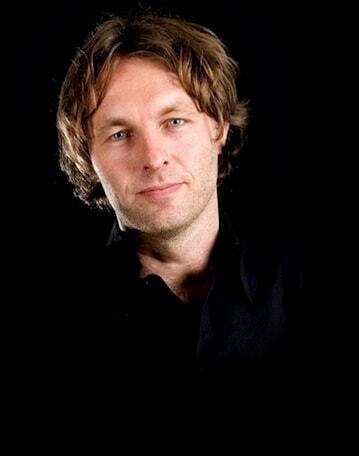 Designer Arnout Visser views the world of logic as his main source of inspiration. 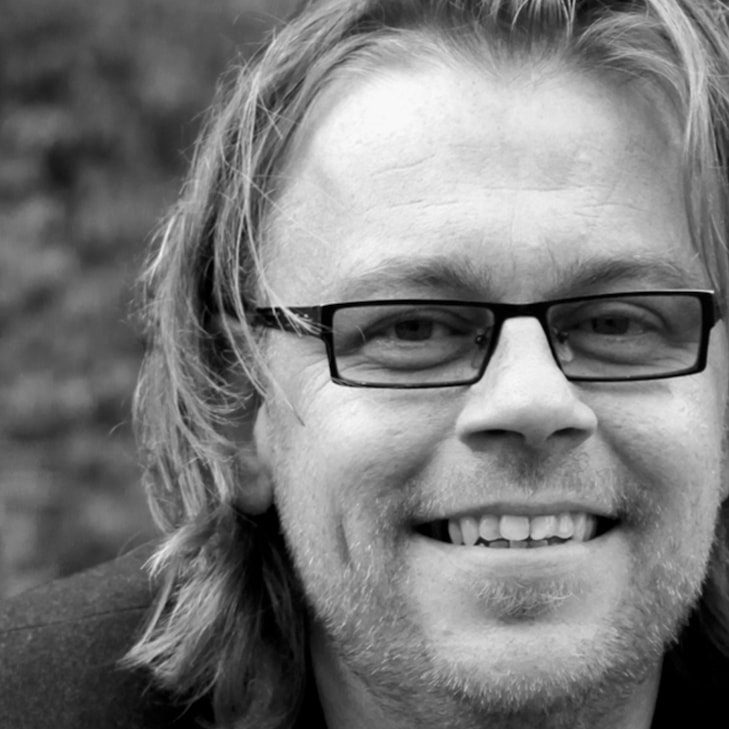 He reminds us of ‘how things work’ by designing objects with a scientific core. For example, the use of glass provides insight into the workings of liquids. This is also reflected in the Window Drops by Droog. Even though glass is his favorite material, Arnout Visser also works with ceramics, plastics, and metals. 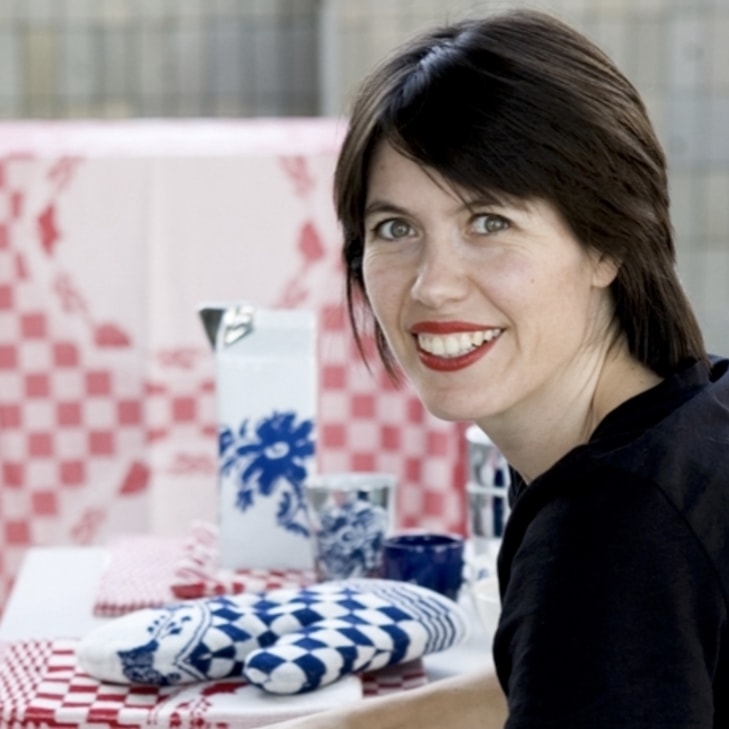 Designs by Arnout Visser can be found in the collections of the Museum of Modern Art in New York, Design Museum London, Kunsthal Rotterdam, the Groningen Museum, and many others.